As an influencer, you don’t exactly have a singular, clear way to measure your growth. Your career success is based on more than your current follower count, and you need hard data to show potential sponsors, managers, etc. Here are a few important ways to track your growth as an influencer. Chart your number of followers every week. The rate your following is growing is just as important as your follower count itself. Create a chart and graph your number of followers at the same time on the same day every week. Have a separate chart for every platform you’re active on. 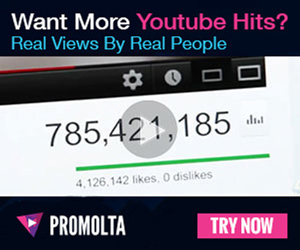 You may even graph your number of subscribers and your number of views from video to video. Make note of any trends. Compare what you’ve done differently this week to what you did the week before and try to repeat that action to see if it really works. Remember, correlation does not equal causation, so you have to repeat the action as if you were doing a scientific experiment. If you repeat your success, then you’ve just proven your theory. The most valuable information about your reach on YouTube can be found in your channel analytics. In this section of your Creator Studio, you can find out not only how many people are watching your videos, but also where they’re watching from, how long they’re watching, and more. The most important analytics to understand are watch time and demographics. You can find out everything you need to know about these metrics and more in this post. Ask your sponsors for data related to each campaign. Whenever you successfully complete a campaign, such as a sponsored video or a sponsored post, ask the company you worked with for data related to that campaign. This information will be helpful in negotiating future business deals and sponsorships. Ask about the number of sales your sponsorship generated. You may also inquire about the increased traffic the company’s site saw after your campaign or how many times your coupon code was used. Organize your most important data into a spreadsheet. Google Drive makes it easy to organize all of your data into a spreadsheet. There’s no software to download, so you can access Google Sheets online from any device. When you have your data organized, you can share it quickly and efficiently. Have a separate spreadsheet that summarizes the data a potential sponsor would want. If you’re new to spreadsheets, follow the tutorial below to get started. Tracking your growth as an influencer is more than watching your follower count go up. Keep an eye on your channel analytics, and organize all your data into a spreadsheet.